The kitchen is so much more than just an area where you cook and eat. All too often, the kitchen becomes a small forgotten and isolated space especially in older homes. In fact, many design experts describe the kitchen as the soul of a home. Yes, it’s the space where you’ll congregate with your family and in modern households, it’s also a hub for a lot of activity. The kitchen can serve many different functions; sometimes it’s a late night workspace while at another time it’s a casual hangout space. It’s time to give this area of the home some attention. If you’re interested in making a statement with your kitchen’s design then it’s time that you add some emphasis by creating a focal point. 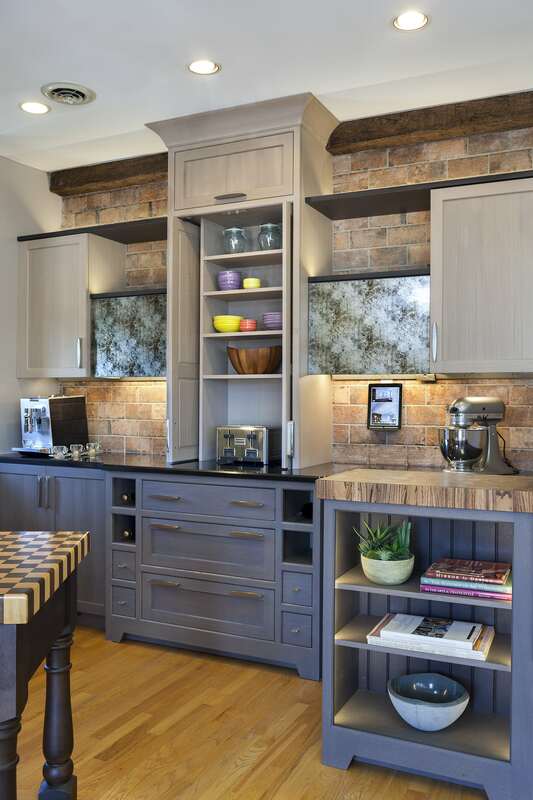 When designing your kitchen you may be tempted to purchase all the eye-catching and fixtures, furniture and materials that you see in the store. Not only is the quickest way to max out your allotted budget but you’ll also be committing a big design mistake. Using too many glitzy items will result in a busy design that design. It’s best to select a couple of noteworthy pieces and use other elements to support the piece. Below are some easy ways you can create a focal point in your kitchen without breaking the bank! While the backsplash protects your walls from stains it can also be a big decorative element in the kitchen area. You can select backsplash tile made from glass, porcelain, stone, or a variety of other materials. Select tile that features a bold color or a striking design. Who said that you had to stick to traditional countertop materials? To create a focal point, opt for a non-traditional kitchen island such as one that is made from wood-look tile! Accent countertops and islands are a wonderful addition to any kitchen. If you’re on a tight budget, you can simply add accent fixtures to make your kitchen pop. Try switching out your boring cabinet knobs for rose gold or chrome ones. Stainless steel appliances were fun years ago. Instead, you can opt for colorful appliances. You’ll be surprised at how such a simple move can make your kitchen pop. Artwork isn’t just reserved for the living room and bedroom areas. Find an electric piece of art that you can hang up in your kitchen. Not only will this draw attention, but art in the kitchen is the perfect way to strike up conversations with guests! If you are ready to make your kitchen into its own work of art, visit our website or stop by one of our showrooms!